Do you want to take your dinner parties to the next level? The lost art of napkin folding is making a comeback. 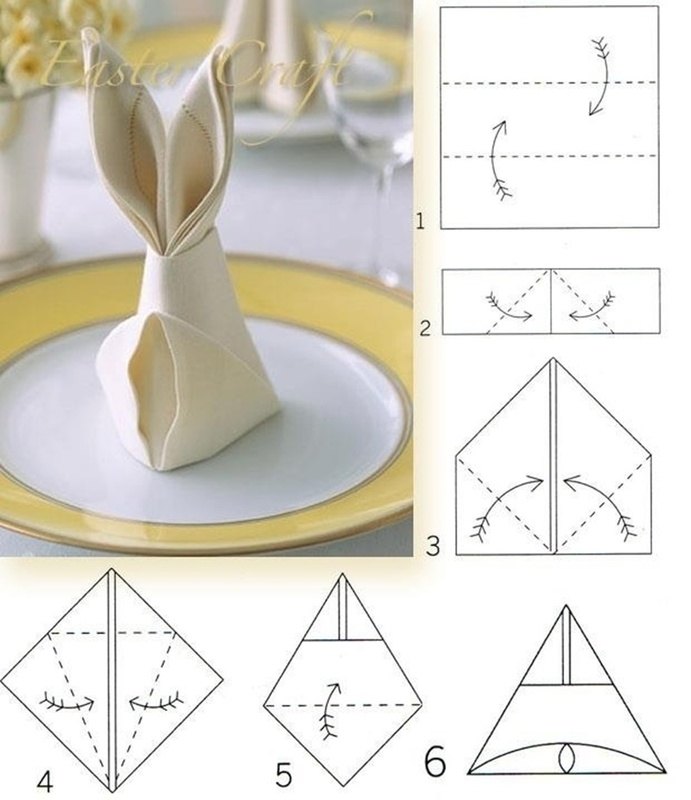 That’s right it’s time to get out those origami skills and go to work creating beautiful table art out of napkins. Your guests will be amazed as they sit down to a meal and see a beautiful swan perched next to their plates. 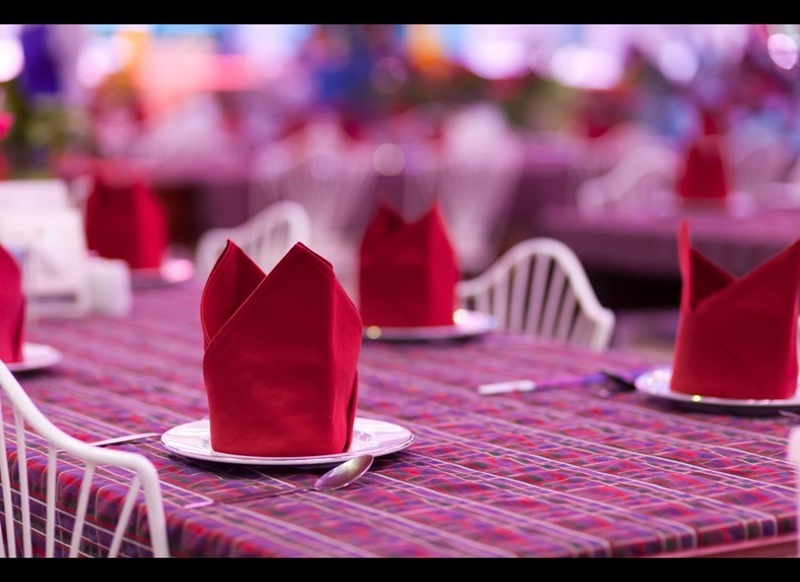 In this post we take a look at the beautiful world of napkin folding. There are video tutorials and guides for all different creations for all different occasions. The classic. Have you ever stayed in a hotel and the maids make your towel into a swan. Well this techniques is similar and it’s relatively easy to do. All you have to is follow the steps in the above image your there. Like everything in life, it might take some practice to master but you’ll get there in the end. Just keep on keeping on. You can even tweak the steps a little to come up with different creations. That’s the fun part about folding napkins. It’s a creative process, that you can adjust and come up with your very own unique creations. 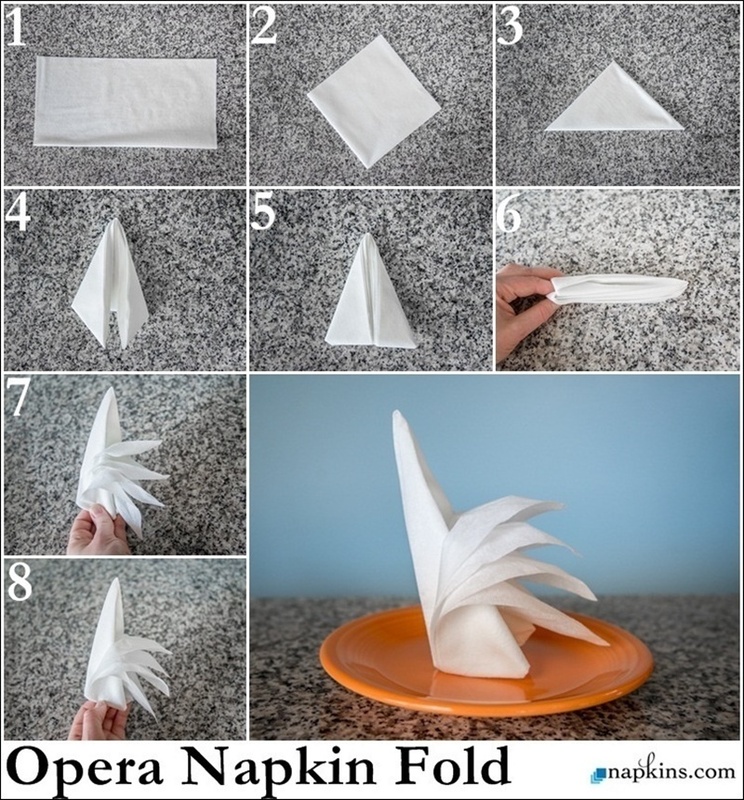 All it takes is a little imagination and practice and the world of napkins is your oyster. Flowers are quite popular in the wide world of napkin folding and make a great accompaniment to your table setting. There are many different types of flowers that can made in the lost art of napkin folding. In this post we take a look at many. As you can see below. The rosette is quick one to make with maximum long lasting effects that will wow your guest. The waterlily is a little more difficult and will take some degree of skill. Nothing a bit of practice and perseverance won’t fix. You even make them for a significant other for a nice romantic dinner for two. This is a nice idea to house your cutlery in before you devour the meal. It’s simple and effective way of presenting at the dinner table and it’s practical as well. This one works well with pretty color napkins and can color coordinated to suit the occasion. For example at Christmas time try using red and white to really get in the spirit of things. You can add little things into them as well rather than just cutlery. It all depends on the occasion. At Easter you could use treats such as easter eggs or chocolates and so forth. Nothing says grandeur like a tower. A serviette tower at the dinner table will ensure that your next party is a smash. The sheer size of it makes it look impressive. Try mixing the colors up for a multi color, multi layer masterpiece. 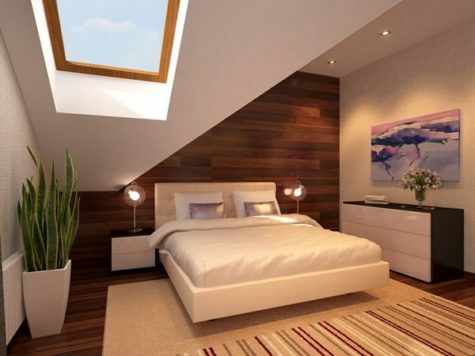 The tower is can also be used as a centerpiece for the dining table. That’s the beauty of serviette towers, they are practical and work as a piece of art. 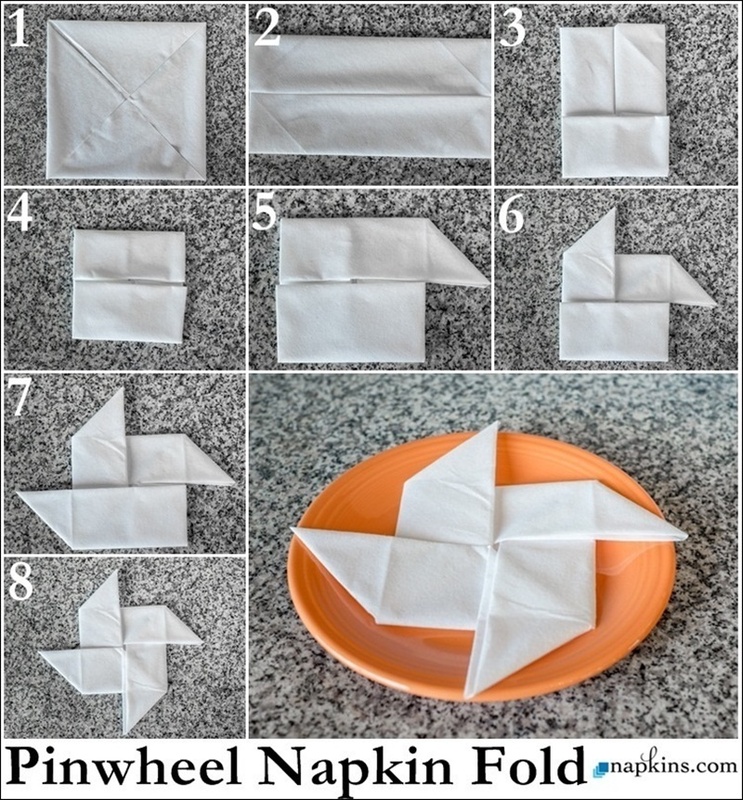 The pinwheel is fun way to fold your napkins especially for children’s parties. The kids love then and so do the big kids at heart. It’s so simple to achieve and will bring a smile to the faces of all the people involved. It can be done on paper napkins and if you want to go that extra effort your child you can attach them to Popsicle sticks and they can be used to spin. 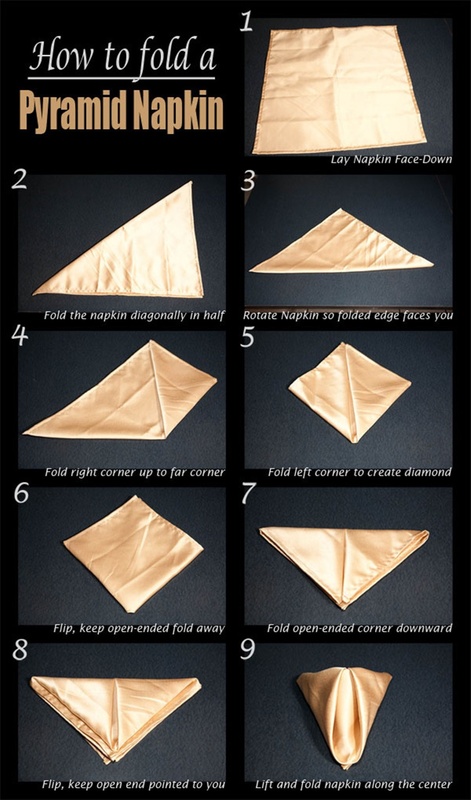 The fall leaf is a great napkin fold to bring in the fall. Nothing says fall like the beautiful colors and shapes that it brings. This fall leaf fold looks great on the plate for those dinner parties to celebrate the start of fall. It’s simple, as you can see from the image above all you have to do is roughly fold the napkin into a leaf shape and tie it off with a piece of kitchen string and hey presto you have yourself a pretty little leaf. Don’t be afraid to mix it up try to make creations of your own. All you have to do is tweak the original directions a bit and you would be surprised at the results. The best part about it is that it’s fun trying and failure is half the fun. This style combines single napkins added together to make on larger creation where guest can take a napkin from the specifically arranged bouquet. The above image is a classic example of this. The individual napkins are folded to make the shape of petals then they are arranged and combined to create a beautiful rose. This can be a time consuming process but it’s worth it in the end. The result is a large than life flower that can be slowly dismantled to serve the purpose of wiping your guests faces. Here his a cute Ann of Green Gables look. 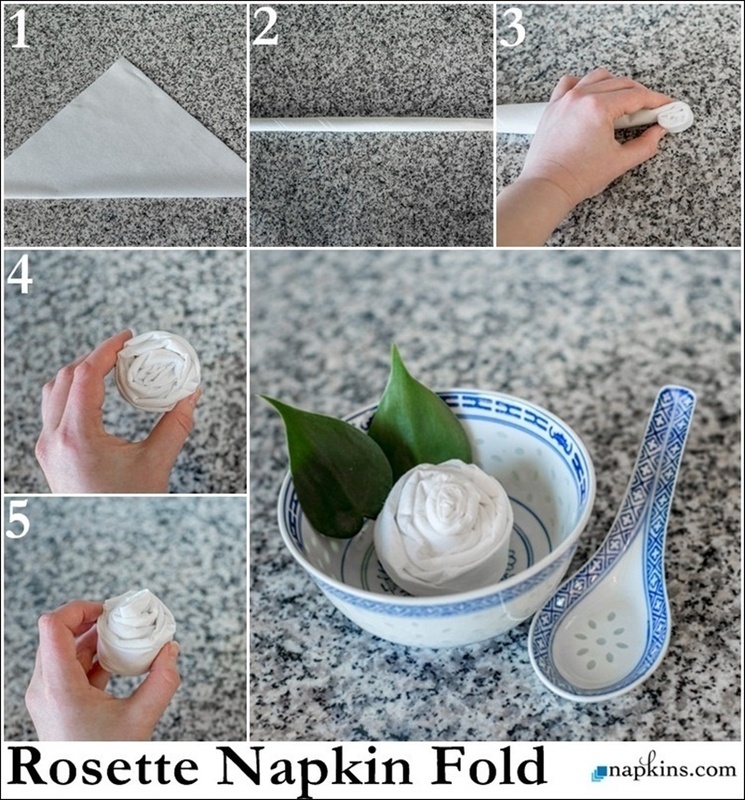 It’s a cute country cottage style where you fold the napkin into a cute little cup. It’s ideal for serving as you can things inside the cup such as flowers and eggs. You don’t have to limit yourself to those two things as the list is endless and you are only limited by your imagination. I like to use the cup method and serve little sweets or bons bons inside them for people to enjoy after the meal. You could give your guests a pleasant surprise serve after dinner mints or even fortune cookies in there. The boat is another a great idea that acts a vessel to serve into. The kids love them, and so do the adults. They are ideal for birthday parties for serving up goodies to the delight of the guests. They are an easy fun way to please the crowd and kill two birds with on stone. When the guests have finished the candy inside they can always where them as party hats or even have sail boat races down the stream. Nothing says I love you more than a napkin folded up into the shape of heart. Well, I’m sure saying I love you using your mouth says it more but you get the idea. If you have a romantic dinner planned with that special someone go the extra distance and make the napkins into the love heart. It will only take you a few extra moments and that special someone will see the effort and melt in your arms. You can even leave a little love letter tucked in there for a surprise when they find it. Who said romance is dead? Bring it back and put that warm fuzzy feeling inside someone with a big old ball of love in the form of napkin that shaped like a heart and big hug. Is your cutlery looking a bit under dressed for the occasion? A formal dinner party requires formal dress for cutlery as well and in this novel trick we get your cutlery ready for the ball. This folding idea gives your cutlery a little neck tie. It’s simple to do and it’s super cute. 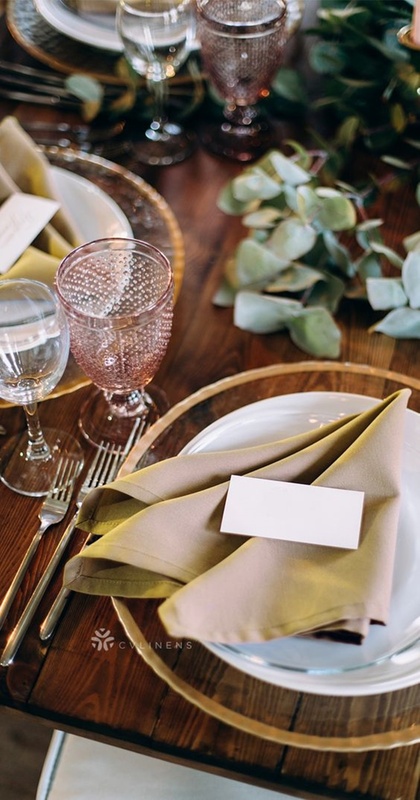 Your fork will be steal the show as your guests compliment on how stunning they look. After dinner is finished all the cutlery gets a bit loose and the necktie is removed and can be used to clean the face of the guests. This is one of my absolute favorites because of the sheer novelty of the whole dilemma. Do you want to be the star of the dinner party? Well now you can by folding your napkins into little stars. Now everybody can be a star at the dinner table as they take a seat at their place and little star is situated in front of each guest. 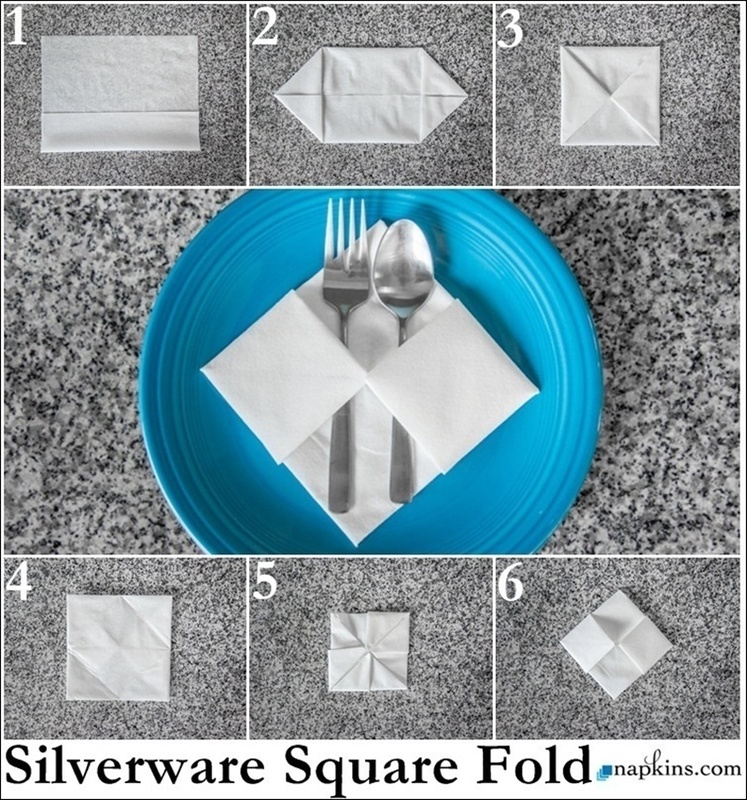 Bring Hollywood to your home and the star factor to your next dinner party by folding your napkins into little stars. You can also use them for playing “Celebrity Head” after the meal. That’s the game where you have a mystery name attached to your forehead you ask questions to try and guess the celebrity. It’s fun way to break the ice at a dinner party and get people in the mood for fun and good times. 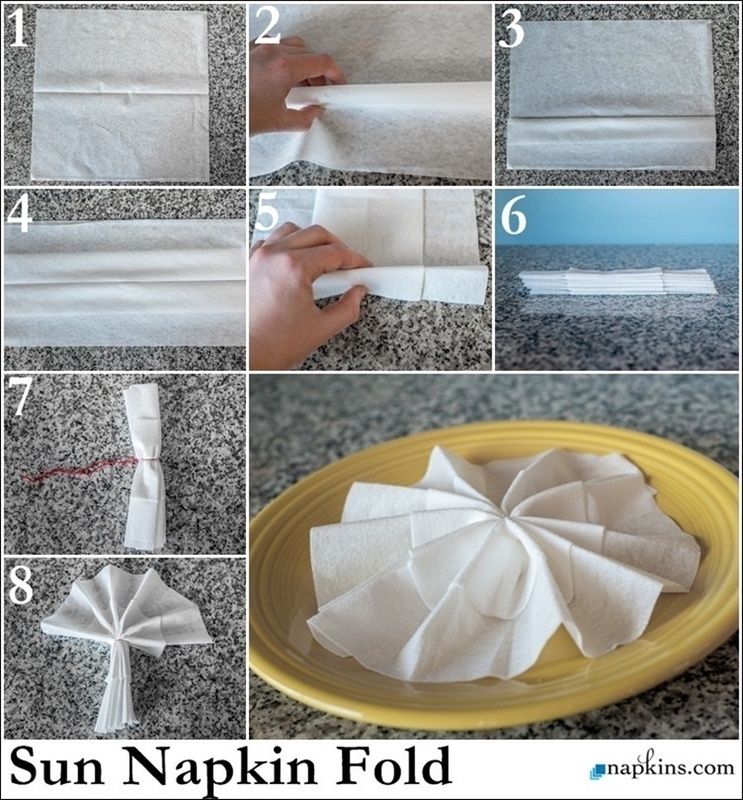 Here is another novel idea for folding your napkins. What’s better than napkins looking like napkins? Napkins looking like clothes of course. 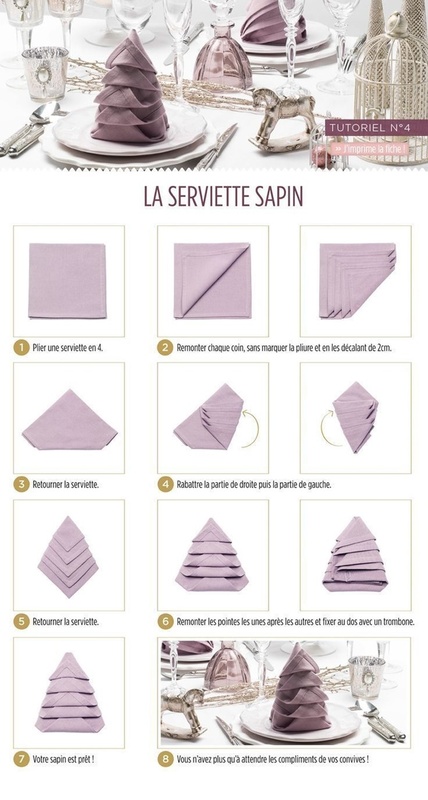 Make your napkins look little shirts. Why you may ask? Why the hell not? 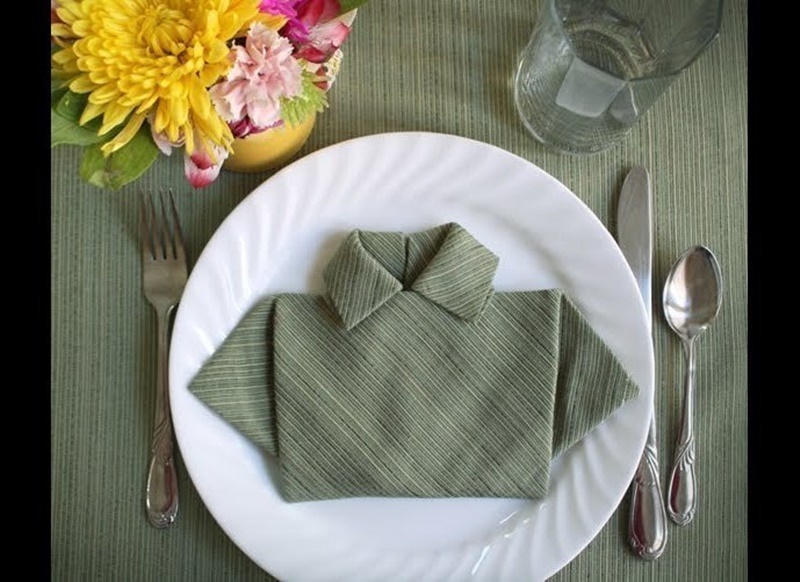 Imagine your guests faces as they take a seat at the table and see a folded up polo shirt as their napkin. I think they will be more surprised than impressed. 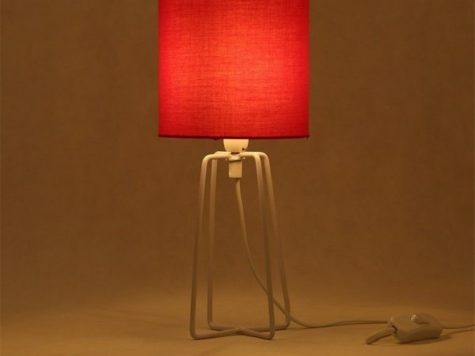 This would be a good idea for football matches and you could coordinate the colors to match those of the football team. Not that your friends would really notice anyway. Let’s face it, men don’t have the biggest eye for detail. Are you tired of your cutlery just being slopped on the table. Well, your knife and fork have feelings too. Why not make them a little bed to sleep in and get some rest before they get the workout of shoveling food into your guests mouths. It’s hard job and they deserves their own little place where they relax. As you can see in the above image how cute they look all nestled up into the napkin style bed. Look how cute the three of them look all cozy inside their little relaxing station. The above napkins kind of look like flounders don’t you think? They are weird shaped fish type thing. They are simple to make and all you have to do is add a googly eye and you are good to go. It could even be a turtle, I can’t really tell. Either way it’s cute and your guests will love it. After they have finished their food they will take great pride in wiping their face with one of these cute creations. Bring a piece of down under to your next dinner party to the delight of your guests. They will be transported across the globe when they get an eye full of your beautiful creation. The opera house’s iconic shaped can’t be mistaken and is an instant standout and so will your napkins be at the party. 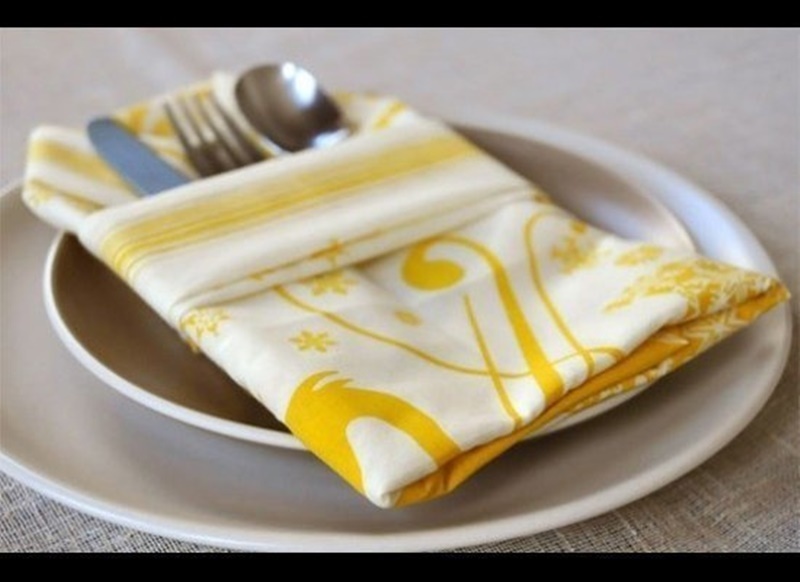 The triple fold, as the name suggests, creates three little pockets in the napkins for you tuck the individual pieces of cutlery into. A place for everything and everything in its place as the old saying goes. 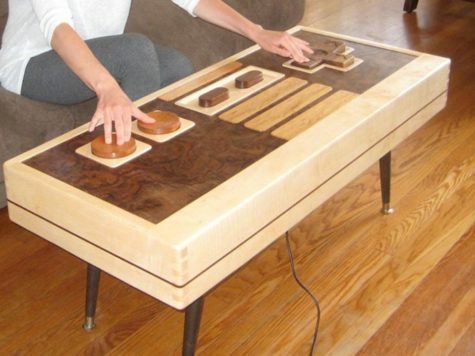 It also adds an orderly, fancy appeal to your dinner table. 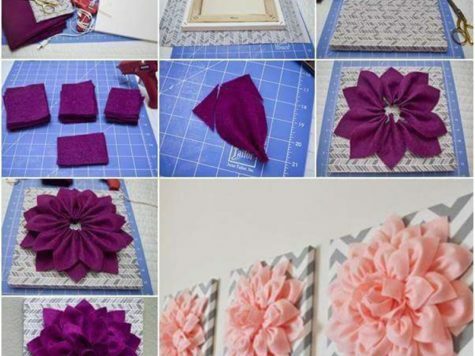 This method doesn’t take long at all and you will be glad you went to that little bit of effort when your guests start complimenting you on your fine works. Now lets take a trip to Egypt. 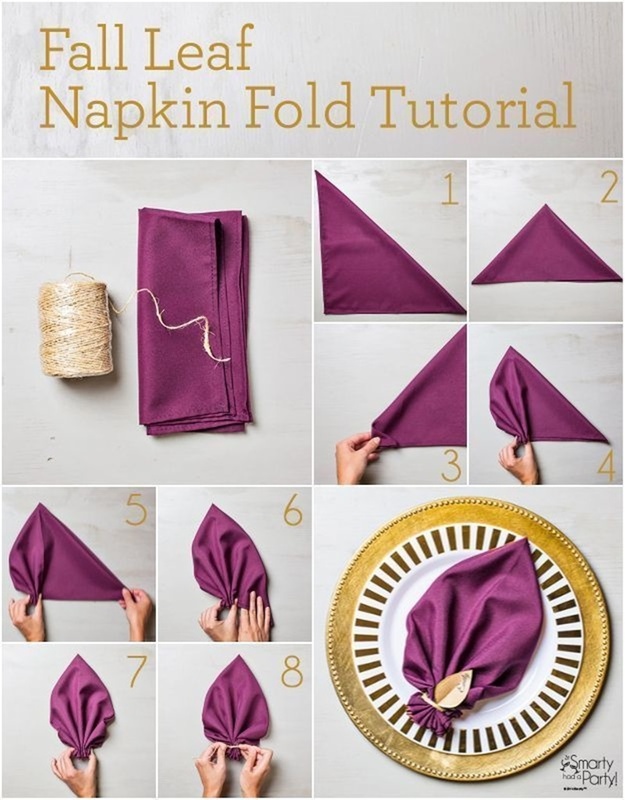 Well not quite but this simple pyramid style is a cool way to get your napkins standing upright and adds a little bit more depth to your dinner table spread. The old faithful bow tie looks great on napkins as well. It will bring a smile to guests face as they sit down to meal and are confronted by a happy little bow tie on their plate. One of your guests picks it up and puts it near his neck as everyone laughs in unison. It’s super simple to do and looks great. Here is some flora that will be right at home on your plate and used to clean your dinner guests face. It’s the classic Canadian maple leaf. So how about it? Give it a try at your next dinner party. There you have it folks. 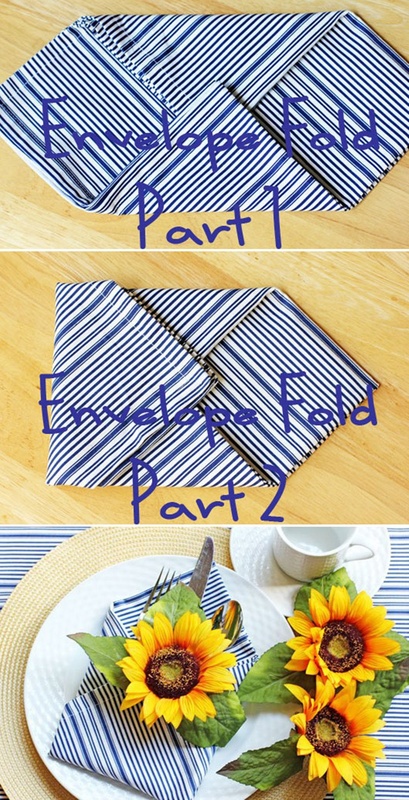 Napkin folding tricks for your next dinner party. Give one of these a try and impress your friends and family.